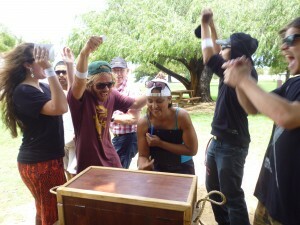 Scavenger hunts are arguably one of the most popular types of team building programs you can do. They can be modified and tailored to suit any type of theme and is one where you can’t go wrong. 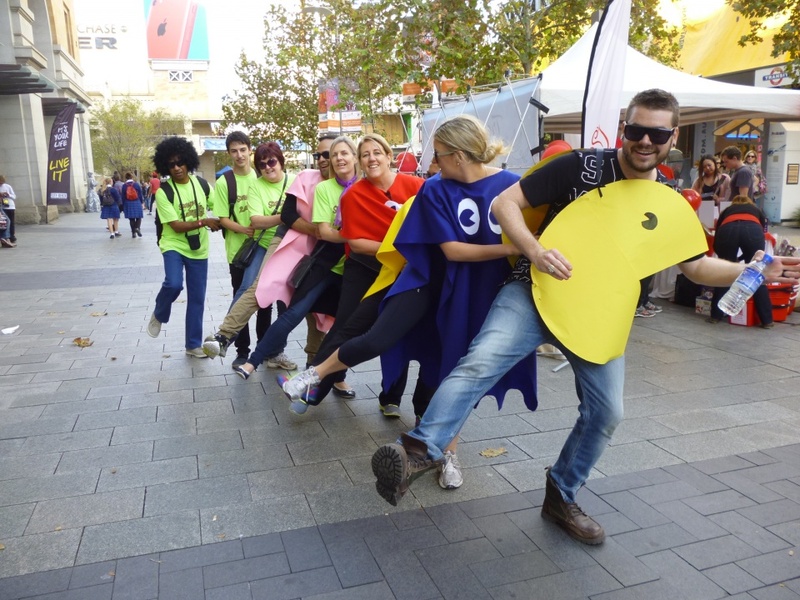 If you are thinking of running a scavenger hunt for your next corporate event, one thing is for sure, its an event that is high energy, provides great variety, fun and healthy competition for everyone. What Does a Scavenger Hunt Typically Consist Of? That’s a great question.Typically a scavenger hunt is a points-based program whereby the team that accrues the most points wins. The way teams earn points is by completing a number of different challenges within their scavenger hunt book or task sheet. These challenges and tasks can be pretty much anything and everything so it really comes down to the organisers imagination as to what teams need to collect or do. 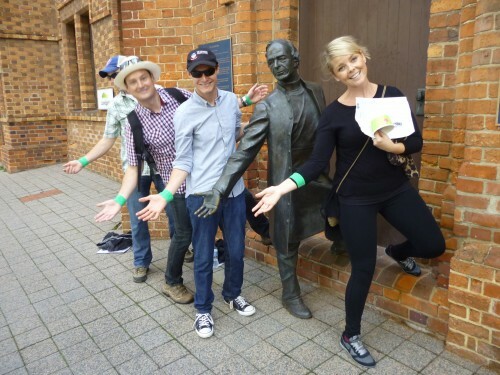 Photo Challenges – This involves taking team photos at certain landmarks, statues or doing certain tasks. Novelty Challenges – This involves collecting & resourcing certain items and bringing them to the finish. Local Trivia – This involves answering certain local trivia & information. Team Building Games – Mini team activities where all participants must work together to earn the maximum number of points. At total team building, we specialise in a number of different types of scavenger hunt type & transitional style events that you can enjoy. We have our traditional style scavenger hunt, we have our Adventure Quest which is a mobile app version and we have our Amazing Race type formats that are similar to a scavenger hunt. Other formats that are closely related include The Ransom & Treasure Hunt. If you’re looking for a fun and memorable team building event, you can’t go wrong with one of our scavenger hunts. If you would like pricing or if you have any additional questions, Please either Call Us or Send An Online Equiry. Team building activities for work are essential components of organisational psychology. Poor performance, interoffice conflict, tardiness, absenteeism, and attrition are problems affecting any workplace. But even if you already have a winning team, you cannot skip on team building activities so that your team will stay on the top. Team building is a good, creative alternative to achieving results outside of the office. Not all corporate problems, concerns, and issues can be resolved by memos, meetings and trainings. Sometimes, you need to take your team outside the comforts – and discomforts – of the office. A change of environment is what your team needs. Team interaction is also enhanced when individuals are given the chance to bond outside the confines of their cubicles. There are various team work activities that can address your team’s needs. A relaxed atmosphere will make your team open up more. Remember that a happy and satisfied employee becomes a valuable member of the team. Decision making and problem solving used to be the sole responsibility of the manager. Empowering your team in these areas can take a heavy load off your back and give you more time to work and focus on other business functions that require your special attention. Delegating certain tasks and ensuring that your team would know how to make decisions and solve problems can maximize time and results. It is also important that your team is proactive enough to solve a problem that hasn’t arisen yet. This foresight stops a potential problem from reaching and affecting your customers. A breakdown in communication is a factor in poor performance and conflicts. As a manager, how many times have you experienced below par results from your team because of miscommunication? How many times have you settled and pacified customers from undelivered orders because of miscommunication? A team communicating well can achieve results than a team that doesn’t. Effective communication makes the business function better, smoother and faster. Effectively communicating ideas and experiences can help in achieving your targets. It also helps avoid interoffice conflicts that can harm your operations. Hands-on participation from your team is a valuable asset. Your business can benefit from the diversity of opinions and knowledge, and this is a potential you should tap into. A team that can collaborate on strategic planning ensures that everyone is on the same page and agrees on the overall direction of the team. A team that contributes is a team that cooperates. The success of any business also lies in change management. The business world is evolving and consumer needs are constantly changing, and to continue doing the same business strategies can spell disaster for your company. Teaching your team to adapt to changes can keep you at par with the changes in the outside world. Refusing to change can hasten your way to extinction. Team members that have little trust with each other will function at the minimal level. Lack of trust reduces them to nine-to-fivers staring at the clock waiting for breaks, lunches, and going home. They can be holding back important information that could have otherwise helped your business operations. Trust is essential in any forms of relationships, and your team is no exception. A team that has high morale is a team that performs. Employee satisfaction is a success factor. It makes your employees committed to your business goals. It makes them care enough to bring to your attention some concerns that you could have missed. It makes them stay in your company and exceed your expectations. It helps them internalize corporate values and strive for performance excellence. Your team is composed of individuals with different personalities, thus conflict is inevitable. The solution is not to create a team with the same personalities because that will kill creativity and bring monotony to your organisation. The key is in knowing how to resolve these conflicts while boosting individuality. A lot! Total Team Building offers a lot of great team building activities for work that can be tailored fit to your organisation’s needs. We take into consideration your team building objectives and the personalities of your team members so that we can maximize the results. We make team work activities a lot more fun and more than what your team is expecting. We designed these activities with organisational psychology in mind. We bring fun and excitement in building your winning team and making them more cohesive. Aside from indoor and charity activities, we also have outdoor team building activities for work. Our most requested outdoor activity is our Scavenger Hunts. We take you and your team out of your office and into the crazy world of fun in the city. We will take you to places in the city that you never knew existed! Contact us for more information about our team building activities for work, and let us take the responsibility off your back. We want you, as the manager, to have fun and relax with your team too! We assure you that your team members will go back to the office renewed and refreshed. According to American psychiatrist William Glasser, man is “driven by five genetic needs: survival, love and belonging, power, freedom, and fun.” It’s interesting to note that these genetic needs are varied but true at any point and part of our lives. Our efforts are concentrated and directed on fulfilling these needs whatever our station in life is. Even in the corporate world, we strive to fulfill these genetic needs. We do our best to keep our jobs (survival). We long to have good rapport with our office mates (love and belonging). We fight our way to get promoted and reach the top (power). We wait for 5p.m. to be free of work. That’s a half-meant joke, but we work hard to have financial freedom in the future. And yes fun! We view fun in different ways, but we all want it. Total Team Building specialises in building winning teams in an engaging way, but we didn’t realise that we are meeting man’s five genetic needs. Just kidding! We don’t do team building haphazardly. Our easy team building activities are carefully planned to make sure that they are meaningful and that your employees will learn from them in a fun way. We know what we are doing and when we designed our exciting team building activities, we took into great consideration two main things: psychology of employees from all levels, and business needs. If your business always takes you away on conferences or your company always holds conferences that you have to attend, we know how boring those can be. There are countless speakers, information overload, awkward lulls in the programme, and probably bland buffet at lunchtime. The silver lining in the dark clouds of boredom is the after-conferences drinks at night with other attendees. “I dread attending conferences. Whenever my boss would tell me that he’s sending me to a conference, I’m always mentally banging my head against the wall! Conferences are so boring and exhausting. I haven’t attended a conference yet that I have enjoyed.” Courtney K., 28, complained. She has been a sales executive for two years. “Conferences are difficult to organize. There are logistical aspects that you have to consider so that there will be a lot of participants. As much as we would like to have a decent interval between speakers, we have to make the conferences as short as humanly possible. We can’t keep these participants, who are employees of different companies, away from their jobs for too long.” explained Hannah B., 35, a conference organizer. Multi-company or large company conferences are a good way to expand your network in a bigger level. You will have the perfect chance to rub elbows with the important or major people in your field or organisation. This chance of networking can help your career and your company in a great way. If a conference is done right, it can also be a way to de-stress because going away on a conference can be some sort of a vacation from your work desk. A quick change of environment can be invigorating and will give you an extra boost in spirit when you get back to the office. We heard Courtney, Mark and Hannah even before we interviewed them because this is a common occurrence (read complaints) in conferences. Yet, conferences are a staple in the corporate world and in any organization. You simply cannot escape organizing and attending one. 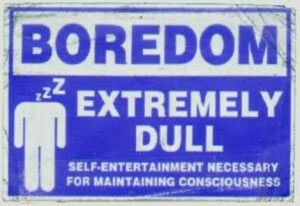 They have their benefits, but yes, there are several downsides and based on the interviews, boredom is the main culprit. That’s why we are also offering conference team building activities to break the monotony of traditional conferences, which gets in the way of the objective of the conferences. We have incredible icebreakers and exciting team building activities facilitated by our team of professionals who know what fun is really about. Contact us so that we can discuss with you how your conference attendees will say that the event is far from boring and unexpected. We have funny team building activities that are well-suited to conferences. You can easily squeeze our activities in your schedule to break what used to be an endless parade of speakers. 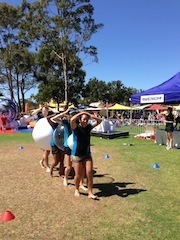 Our conference team building activities can be tailored fit according to your conference themes. We don’t want these activities to stick out like a sore thumb or out of place in your programme. Every activity is going to be meaningful, timely and exciting. We assure you that our inclusion in your programme is going to be seamless and painless! But we are not limited to conferences. Anytime you need a breather from work, we have funny team building activities that are guaranteed to tickle your employees’ funny bones! We mastered the art of group fun and we want you to experience it too with your employees. No group has spent time with us and left unsatisfied and not a little bit happily tired. If there’s a noob in your team and you want to welcome him or her through a team building event, we can easily manage that too! Or if there’s conflict within your team members that’s getting in the way of their performance, we can resolve that with our various problem-solving activities. Whatever your team needs, Total Team Building has something exciting for you. Contact us and let’s start planning exciting team building activities for your conference and for your company! Any organisation or corporation has groups. These groups build the entire structure of a corporation, starting from the leaders down to their members. We see them more as employees whereas the higher ups serve as leaders of a department, a branch, or a site. Under them are members who work together for certain goals and projects. This typical structure is the backbone of any company. Similar to a human backbone, this corporate structure must be kept healthy to maintain the company’s stability. Otherwise, the structure will break down and the company will be unable to achieve its vision. This is where outdoor team building activities come in. Here, at Total Team Building, we strongly promote the importance of group development not only for corporate groups but for any organisations that share a common goal. We believe that a group will surely fail to meet its goal without proper coordination between its leader and members. They need to develop certain mindsets and behaviors in order to bring the group’s 100% efficiency. This is why we created numerous fun outdoor team games that you can customise for your needs. Activities that focus on group development can grant you necessary skills in collaborating with your teammates. In the same manner, you will be able to establish deeper trust towards them and their capabilities. Let us show you the different advantages of team building activities, especially, for your group. Ever since, the main goal of outdoor team building games has been to enhance the overall productivity of the group. Every member of the group will develop a sense of teamwork, allowing the entire group to perform efficiently. You no longer need to spend more time correcting them because mistakes will occur less often. They will also learn how to divide the project into individual tasks according to each member’s skills and capabilities. This will prevent them from overlapping and repeating other’s work. Team building activities help groups in establishing guidelines to improve productivity and performance. Activities for group development also improve the overall motivation of the group. This occurs whenever the group finishes certain challenges during the activity. Members become more confident and highly motivated. The fact that the company allows them to participate in fun outdoor team building activities makes them feel important and appreciated. Developing trust between team members can also boost their individual motivation because they will feel more comfortable working with one another. These activities also promote critical thinking and problem solving skills. Groups are challenged with problems, in the form of games, situations, questions, and events, that they need to solve as a group. The skills they develop during the activity will surely integrate with their working performances – providing your company with a highly efficient work unit. Most outdoor team building activities bring participants into a whole new setting, away from the stressful environment. They will be asked to use limited resources to finish tasks during the event. This will trigger their creativity which will also help them in becoming more productive in their working environment. Forming begins at the very start of the activity. This is when participants, disregarding everyone’s current relationship with one another, introduce themselves. This phase promotes interaction with one another, making it easier for them to handle tasks later on. Storming is when participants begin to relay their ideas to the group. The goal here is for them to discover the potential leaders in their team. There will be conflicts during this phase but once the Norming takes place, the team will develop a leader whom they will follow. And then, Performing comes in. This phase is when they execute the steps that they made to achieve their goals. Lastly, Adjourning comes to play when they finish or fail the activity. This is when they have to review how effective they were as a group and what factors contributed to their group success or failure. Activities with similar structure guarantee better results and this is what we provide here in Total Team Building. Aside from the typical group activities, we also allow you to choose the most fitting activity for your group. If your company promotes corporate responsibility, then, choosing charitable activities while developing the sense of teamwork suits best. We combined both team building and charitable activities so that you can both develop external and internal corporate responsibilities without doubling the costs. One of our charitable activities is the Charity Treasure Hunt. Similar to the original activity, participants will be asked to look for clues and make their way to the hidden treasure. They need to look for the key first though. The real twist here is the hidden reward that waits inside the box. They have no idea that part of the prize will go to the charity of their choice and they can also decide how much will go to the team. In other words, you have the freedom to customise the activity. We give you the freedom to personalise your event as you see it fit. Call us now at 0403-259-090 (Perth/Adelaide) or at 0430-771-155 (Brisbane/Sydney/Melbourne/ACT/TAS) and get your questions answered. We will make sure that you will get the most out of your investments. If you have been given the task of organizing an indoor team building activity there are generally four foundational guidelines that you can follow to ensure your event runs as smoothly as possible. So no matter if you are doing team building activities for large groups or small, the same principles apply. How to Deal with Challenges? We consider organisation the key component to delivering fun indoor team building activities. When they are planned properly all scenarios are taken into consideration and this allows you to adapt on the day of your indoor event. Here are the most common obstacles you will encounter and how you can solve them. Explain to them the main goal of the activities. If applicable, let the timid participants perform / share first. You can also volunteer before them to show that they can do it as well. Always remind them that team building requires everyone to participate in order to become successful. Assure them that you won’t let anyone be embarrassed or be left out. It must be fun, engaging and cater for different types of demographics and skill levels. Always give directions slowly. You can pause right after each instruction to allow them to understand it first. Don’t hesitate to repeat each instruction even if they appear to be obvious. Make sure that difficult directions are contextualised. Aside from the participants’ willingness and your clarity, another challenge for indoor team building activities for corporates is the materials. Here are some guidelines to conquer this obstacle. Don’t forget to bring extra materials more than what is enough for your participants. Do the activity by yourself first with the use of the actual materials. Have answers, marking sheets and scorecards on hand to assist you with keeping track and staying organised. Have all activities along with instructions set up and ready to go. Have a well planned schedule to keep you on track and on time. Provide teams with discussion/planning time where all team members can freely share their ideas & thoughts. Encourage open communication & positive re-enforcement. When asking questions for reflection, do not reword the question as you repeat it unless someone admits that he didn’t understand it. You should pause after each question, however, to allow them to think. Always share your observations and feelings first before asking them for theirs. If no one has the courage to volunteer, then, feel free to call a name and wait for his response. These 4 guideline will set the foundation that will help you when establishing a successful indoor team building activity. Based from the popular television show “Minute to Win It”, this indoor activity will boost your group’s sense of teamwork. The activity will also help each member understand their colleagues, especially, with regards to each other’s weaknesses and strengths. We believe that well-prepared teams are more enthusiastic to participate than unprepared groups. With that in mind, we allow competing groups to practice before their event so that they can develop their skills. Another indoor team activity that will bring out the creativeness of your work unit is The Amazing Cake Off. This activity features 3 stages: preparation, planning and decorating. All three will challenge your delegates in different ways. It deepens the camaraderie between group members while promoting creativity, trust, patience and time management. If you want to develop efficient teamwork between the old and the young members of your group, then, this indoor activity is right for you. We designed old school and new school trivia that will challenge the knowledge of every participant. This is the perfect activity during dinner. This powerful and emotional activity will unite teams. The power of this program lies in the giving as the teams work by building bikes to give away to some worthy children. If you would like to outsource and hire a professional company to run your next indoor team building event, Call Total Team Building on 0403-259-090 or at 0430-771-155 and we will help you plan for your next indoor team building activities. We also have outdoors programs that you can consider as well. 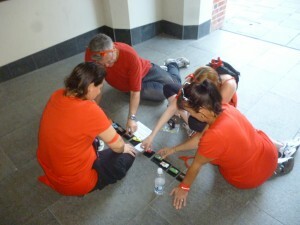 Here at Total Team Building, we allow you to customise your corporate team building events. We believe that you know what your groups need better than anyone else. That is why we prefer to plan with you so that we can get the most out of your chosen activities. In the corporate world, maintaining harmonious workplace can be very beneficial for you and your employees. When issues are at bay, employees are more happy, energised and dedicated to get their tasks done. With their positive attitude at work, they can better satisfy customers’ needs and requirements. This allows you to have more clients and of course, earn more money. However, if there are misunderstandings, their work is compromised which obviously will affect your business. If you want to ensure that the whole organisation is happy for years, corporate team building activities is the best solution. From start-up companies to well-known and established corporations, corporate team building is utilised by many business owners today. But, what exactly is this corporate event and what does it provide? If it’s your first time to schedule team building for your organisation, you may be in doubt of its wonderful benefits. Here are some answers that can give you peace of mind. The business industry is becoming more and more competitive. Whilst many business owners focus on advertisement and marketing strategies, investing in your most valuable asset (your employees) can put you ahead of the game. Instead of boring and outdated seminars, corporate team building is far more effective. Corporate team building programs features highly engaging activities which improve teamwork and communication skills of an organisation. It can also motivate and develop sense of unity amongst workers and supervisors. Companies normally hold corporate team building events to relieve the entire organisation from highly stressful situations such as handling difficult clients and closing contracts. But, there are organisations that use team building to make new employees comfortable with their new workplace. Energise employees – Employees perform their best when they are energised and not stressed. If they are always tired and burn out, they may not provide quality work that you are looking for. When they attend team building, they will be reenergised to perform more efficiently. Improve communication skills – Communication is very important in establishing teamwork. Since activities of team building include team interaction and engagement, employees are more inclined to talk with one another. When they return to the office, they will be more comfortable to discuss about projects and how they can effectively finish their work as a team. Develop respect and trust – Respect and trust are two important qualities for a successful organisation. However, it is often absent in companies. With team building, employees and supervisors are able to develop and improve respect and trust for each other. There are many corporate team building providers across Australia, but no one comes close with our highly effective and fun team building activities and friendly and accommodating employees. Our professional team building services can accommodate small and large companies. In fact, we offer engaging activities for six to more than 1000 participants. To ensure that all of your employees are happy and engaged, we will carefully distribute them into groups. At Total Team Building, we understand that your time is very limited. So, we are more than happy to provide our services in your most convenient time and availability. Our team can also work with you to organise your company’s team building event. We can arrange for either indoor or outdoor team building for you. If you have a team building activity in mind, we will gladly assist you to ensure that the corporate event will go as smooth as possible. We can also provide you with unbiased suggestions for a successful team building event for you and your employees. Our charity bike build can improve your employees’ teamwork skills and even help the community. As the name implies, the goal of this activity is build a bike. In order to be successful, members of each group will have to utilise their time management and communication skills very effectively. Your staff will also be able to exercise social corporate responsibility since they will donate the bikes to the community. Go Race is a team building activity that will physically and mentally challenge your employees. Teams will participate in a fun and exciting race wherein they will have to effectively use skills such as multi-tasking and planning. This exciting exercise will keep your employees busy throughout the day. The activity which is available as transitional hunt or adventurous hunt will really challenge your staff. From answering clues to getting to the next location, this highly engaging program will surely build your workers’ sense of comradery. Holding a corporate team building event is a powerful and effective tool which can improve and strengthen employee and management relations. Fortunately, you can take advantage of its positive effects with Total Team Building. We provide the best team activities which can drastically improve your organisation’s teamwork skills and more. Call us today on 0430-771-155 or 0403-259-090. The influx of young, hip entrepreneurs hitting it big is changing the ambiance of the workplace. Google is remarkable for changing the landscape because GooglePlex is not your traditional office. It is designed and equipped to foster creativity among its employees through group bonding activities. It has swimming pools and volleyball courts, among other facilities. Sounds fun, right? Tony Shieh of Zappos’ does away with cubicles. He shares desk with his employees. He is big on the corporate culture of happiness and openness in the workplace and having an open space ensures that he is easily accessible. Google and Zappos are just two of the companies that are promoting casual, fun but still results-oriented workplace. But not many companies can adopt these practices and facilities. Not all businesses can be casual and remain profitable. However, that doesn’t mean you cannot infuse fun group activities in your company. Nor does it mean that you have to limit your corporate group activities to Christmas and Halloween parties. There’s team building to bridge that gap. This is a group activity that can offer you a lot of opportunities so that you can create a team that performs well while having fun. It also solves problems and conflicts that your team members are experiencing that hamper their performance in the office. Not only that, but a meaningful group activity can also effectively boost your employees’ morale and happiness factor. Many employees feel alienated from their work that’s why there are two guaranteed results: poor performance and job resignations. Thus, it is important that you create a team that is more than a collection of individuals working in the same office. Team building will ensure that your team members are working together towards a common goal by utilizing individual strengths and core competencies. It is a process that will enable your team to reach your company’s goals. A group activity paves the way for cooperation among your team members. In the office, they have separate tasks that, more often than not, are interrelated. It is important that your team members work together instead of against each other for your business to grow and run smoothly. One of the common mistakes that many managers make is not putting any thoughts on their team building. Team building is much more than doing things together outside of the office. Thus, team members go back to the office not benefitting at all from the group activity. 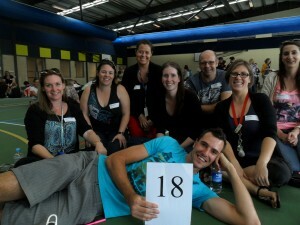 They could have felt energised, inspired, and enthusiastic after the team building activity. A specially designed team building is composed of group bonding activities that will eliminate any uneasiness and reservations among your team members. It is tailored fit to your team members’ interests and hobbies to ensure that each group activity will give you your desired results. This is where our expertise lies. We put fun in group bonding activities! We understand the importance of your employees to your overall business operations. We know that the success of your company is also anchored on how well your team members perform. We take into consideration your team building objectives and the different personalities of your team members. We ensure that every group activity is something that your team members would like to participate in. Everyone in your company should be able to solve problems encountered at work. Empowering your employees will increase efficiency and effectiveness in your office. Not all problems should be raised to the management level. Some problems require immediate attention, and your employees should be able to address these. Customer dissatisfaction arises from problems that take too long to be resolved. This gives a sense of inefficiency of your business operations in the eyes of your customers. There’s plenty of competition in the market and your customers can easily take their business elsewhere. Internally, your employees should be equipped to handle problems without needing your guide every step of the way. Your employees don’t need to be handheld and spoon fed if you will be able to harness their potentials. And we can help you with that! We have problem solving activities that we can incorporate in your team building. These group bonding activities will develop and challenge your team members’ analytical skills. These are guaranteed to stimulate their critical thinking while fostering cooperation. Your team members will learn how to identify problems and come up with solutionss effectively without getting aggressive and offensive. 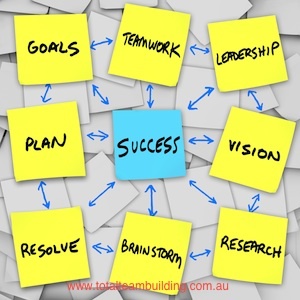 Total Team Building can create a tailored fit fun group activities and problem solving activities for your team. We know that these are critical areas that need to be addressed to make sure that your team will perform at its best. We can do a consultation (this is highly recommended!) with you so that we can plan your team building. We cannot overly stress how important it is that your team building is well-planned and well-suited for your team. Your team has different needs from other teams so you cannot rely on one size fits all team building programme. Your team members have different interests and personalities, and we are going to take these in consideration when planning your team building. We don’t want even one team member to feel left out because that’s not what team building is about! Avoid the pitfall of having a generic team building. You don’t want to waste your valuable resource! Contact us for more information about our group bonding activities that your team will surely love and enjoy. Our team of experts will collaborate with you so that your employees will experience a team building they will remember and will talk about even after you’ve gone back to the office. We assure you that your team will appreciate the importance of collaboration and cooperation after your team building session. Have we mentioned that we are going to make it fun, fun, fun? That’s our promise! Corporate Responsibility is an ever growing area of focus for companies and businesses and often they look for different ways to give back to the community. In a growing trend companies are using team building days to combine the two. One of the most popular charity team building activities currently available is the bike build program. This activity involves delegates building bikes and giving them away to disadvantaged kids. It not only is alot of fun but also sends a powerful message to all who participate. 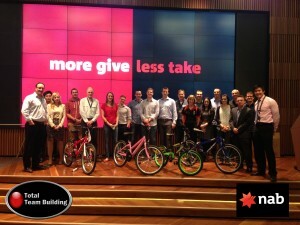 Imagine seeing the smiles on the kids faces as they walk into the room to collect their bike…priceless. I came across this article that sums it up best in terms of what delegates get out of these types of events. For corporations, the immediate gain is represented by employees who are more connected and devoted to the company. If delegates can feel like they belong and that their work matters and makes a difference then this can have a positive effect within the culture of an organisation. It can lead to better working relationships and improved productivity because all of a sudden you have a better buy in from everyone. So when people ask me are charity team building activities worth it…I have no hesitations in saying…YES, It has the potential to act as the catalyst to effect change within an organisation so that everyone can head in the one direction. If you would like to learn more about our charity programs and how they can help your business, please visit our charity team building activities page or give us a call to discuss your options. 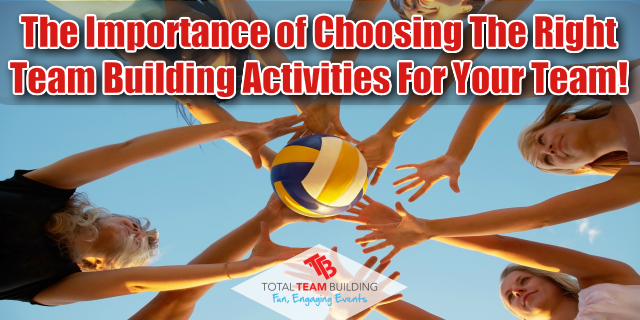 The Importance of Choosing The Right Team Building Activities For Your Team! Team Building for Corporates and businesses has changed a lot over the last decade and during that time we are seeing differences in the styles of programs on offer. In the past Teambuilding was seen more of as structured theory based sessions & exercises such as personality profiling and other testing type procedures. Personally I think these types of tools are a great medium to discover more about yourself and your fellow peers and they definitely have their place but not in all circumstances. Unfortunately, this style of a session is not always received well by staff and attendees as not everyone enjoys being psychoanalysed and this is why this style of team building can sometimes be seen in a negative light and in some cases may not be the most effective for your needs. Luckily nowadays there are different options available to organisations that can tackle team building in a more subtle and subconscious way that are more readily adopted by participants. Below you will find some of these other types and styles of programs. With work environments often being quite stressful nowadays we are finding the more fun based themed activities are the types of events companies and businesses are choosing. Often these programs are modified versions of popular TV shows which are great because people can quite often relate straight away and they actually get quite excited at the prospect of participating in a program that is modeled off their favorite tv show. 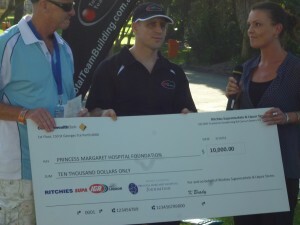 Programs like the Amazing Race, Survivor, MasterChef are examples of this type of events. Companies nowadays are quite big on the corporate social responsibility side of their business and they know the importance of giving back to the community in any way they can. This is why charity team building events have become really popular especially programs like Charity Bike Build where bikes are built and donated to some deserving kids from a local charity. Again these programs are a lot of fun but also has the heartfelt emotion attached to it that makes them quite powerful from a team perspective. Ultimately though it all boils down to the overall outcomes and objectives.These days team building providers need to be quite adaptable. some companies want just purely fun whilst others like to work on specific elements like communication, leadership etc… The trick it to have the balance of keeping it fun & interactive but at the same time working on the elements of teamwork in an experiential way. The fact of the matter is we can’t always predict how individuals are going to operate in a team setting unless we put them in that situation and from this, we can gain a better insight. By using more interactive and recreational based activities, everyone is able to learn how each person is able to pick up a task, assesses what’s needs to be done, how they formulate a strategy, how they communicate it with the rest of the team, how they follow it through to completion and finally how they review the result with regards to what worked, what didn’t and how it could be done differently. 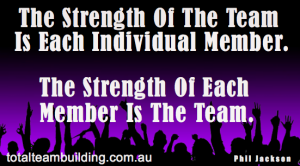 https://www.totalteambuilding.com.au/wp-content/uploads/2013/05/Choosing-The-Right-Team-Building-Activities.png 320 640 Darren Brady https://www.totalteambuilding.com.au/wp-content/uploads/2016/01/ttb-logo-new.png Darren Brady2013-05-26 00:34:232017-07-04 00:00:38The Importance of Choosing The Right Team Building Activities For Your Team!